Perhaps there is no other drink in the world that would honor billions of people and have such a mystical nature than wine. Since ancient times, wine was considered as a drink of the gods; only water and a mother’s milk can be compared in importance and longevity with this sacred drink. However, neither archeologists nor philosophers can give an exact answer as to when this drink appeared first. This secret further confirms the inscrutability and mysteriousness of wine. The long history of wine and winemaking, its mystical and philosophical significance raises deep thoughts about what the true strength of this drink is, how and why it is produced, and why people consume it today. Over thousands of years the traditions have changed, states were formed and disintegrated, and cultures, public consciousness, sciences and technologies were developed. However, only one thing remains unchanged: wine. The author of this book wanted to know what the value of wine in today’s society is, whether it has changed since ancient times, what kind of people consume wine today, and whether the desired effect of winemaking for its producers and consumers has been achieved. 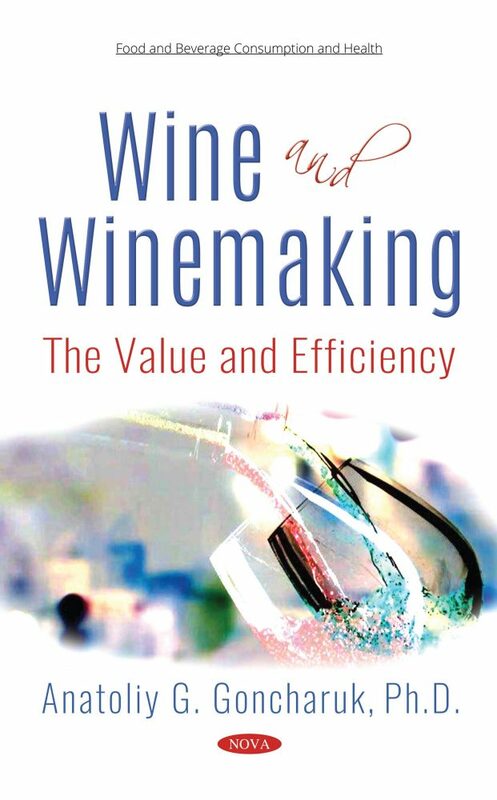 The book contains the results of several years of research that shed light on the value of wine in a modern society and the efficiency of winemaking in various countries. The main conclusion about the value of wine is that it is very subjective. Each consumer is guided by his/her own considerations and motives, evaluating the wine before buying. Estimates of costs and resources, energy and time for its production, delivery and sale can be made, but it is not possible for any researcher to get into the mind of a consumer and learn the true complex of wine value for him/her, which is dictated by their knowledge, experience, consciousness and subconsciousness, external circumstances, health status, wealth and the arrangement of spirit. After all, the same bottle of wine for the same person has different values measured in the morning or evening, on Friday or Monday, in winter or the summer, in a healthy state or when ill, in sadness or in joy, with friends or in solitude. The main secret of this magic drink is hidden exactly in its diversity and unpredictability; you just need to value it. Wine has a special status and high value for consumers, from religious, health, psychotherapeutic, and economic standpoints. It is produced and popular in both developed and developing countries. The efficiency of its production and distribution depend on many factors, some of which are common to all countries (global), while others are special for a particular country or region (local). The highest efficiency of winemaking in Germany, France and other developed countries can be explained by centuries-old wine traditions, good recognizability, high investments and high-quality marketing. On the contrary, winemaking in developing countries requires more investments in technical policy and market research and promotion in the world market. The author hopes that this book will be useful not only for winemakers, scholars and students, but also for every person who has ever tasted wine.